Here at Fork Truck Direct we can offer the full range of Narrow Aisle Flexi Forklifts for hire across Essex, Suffolk and the surrounding areas. Alternatively, if you and your company are seeking to purchase this equipment, we also provide Narrow Aisle Flexi Forklifts for sale . Flexi have been manufacturing space saving narrow aisle forklifts in the UK for over 40 years and continue to go from strength to strength. Their range of narrow aisle trucks are ideal for all contingencies in which space is at a premium, fitting into and manoeuvring in spaces that would be impossible for a larger machine. The ideal choice, in fact, if you’re looking to save space or capacity in the warehouse. All Flexi narrow aisle forklift models are built on the most effective and efficient AC technology, boasting unparalleled manoeuvrability around even the tightest workspace or warehouse. Some models can operate in an aisle a mere one and a half metres wide. 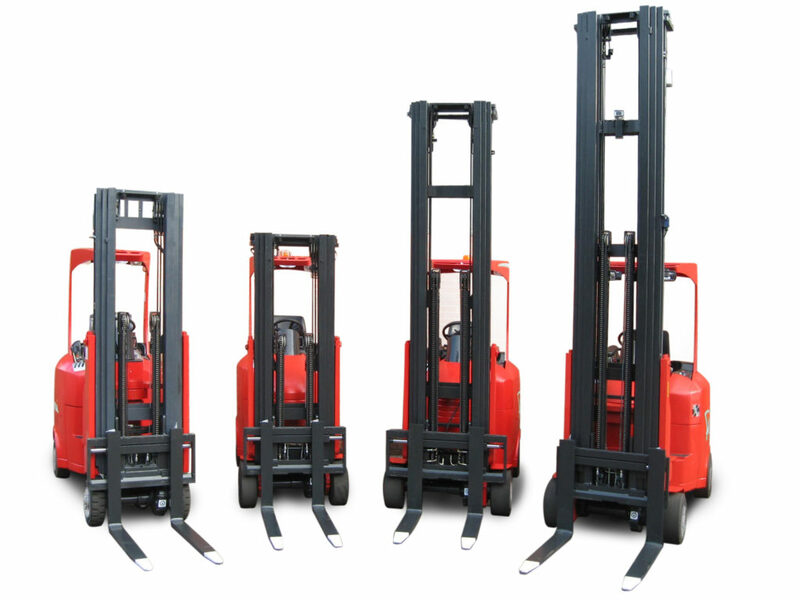 If you are looking to hire Narrow Aisle Flexi Forklifts or buy a Flexi Forklift you should know that Flexi currently produces six distinct forklift models. This kind of equipment incorporates the latest AC technology to offer rapid acceleration alongside a controlled braking system that makes for safe handling. An integrated system for monitoring and recording faults ensures the peace of mind that your 1000/1100 model is always operating in good working condition. It is ideal for warehouses with lower bays, which require a more compact, but just as powerful, truck. Of course, we can provide this Flexi Forklift for sale, as well as Flexi Forklifts for hire. Built along the same lines as the 1000/1100 model, this narrow aisle forklift is Europe’s most popular narrow aisle articulated vehicle. It boasts a safe and simple battery change system, with no dangerous brakes or motors beneath to cause a potential injury. Ideal for high-volume work environments, that require a fast changeover of batteries in their forklifts. 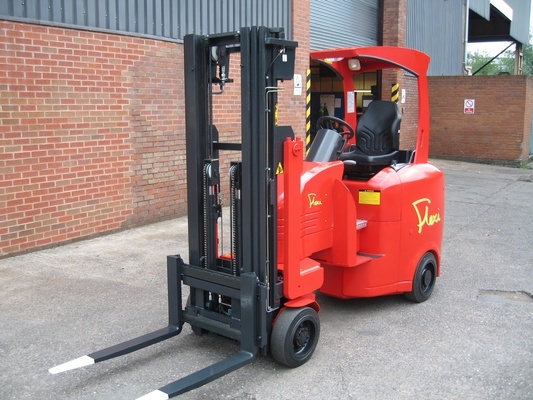 This Flexi forklift model is available for hire and sale at Fork Truck Direct. The HiLOAD is the powerhouse of the Flexi range, built for heavy-duty work and fast stacking. Capable of lifting up to 2.5 tonnes to a height that exceeds 14 metres. The HiLOAD utilises its 220º articulation to ensure a precise stacking solution. HiMAX flexi forklifts have been specifically engineered to incorporate high lift heights with operating in a narrow aisle, being designed with three distinct chassis options ranging from 1250mm to 1400mm, depending on the job it is being used for. It also comes with specially engineered rear tyres when additional stability is required. Based on the standard 1000/1100 model, the VNA edition comes with a more compact axle to the front, clocking in at a mere 840mm in width, offering the maximum level of clearance for VNA aisles. This hybrid model combines all the capabilities of an AC forklift with the efficiency of LPG fuel. A GM LPG engine and a triple catalytic converter means it has some serious power when required. Whether you’re looking to buy narrow aisle Flexi forklifts, or simply to rent or short term hire one, Fork Truck Direct can find the ideal forklift for your requirements. Call our friendly team on 01245 322252 today, and let us locate the perfect one for you.